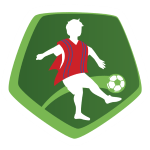 The club of Horacio Orzan, Mushuc Runa SC, presently holds first position in Serie B (Ecuador). With a height of 1.77m, Horacio Orzan compares with Mushuc Runa SC's mean tallness. Stunning 86% of Mushuc Runa SC's football players are right footers and so is Horacio Orzan. Horacio Orzan is a male midfielder from Argentina, who has been playing for Mushuc Runa SC in Ecuador since January 14, 2019. The 30-year-old footballer was born on April 14, 1988 and is therefore one year older than his team's average age. He was used in none of the matches in the present term. 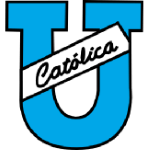 Before joining Mushuc Runa SC, Horacio Orzan was engaged in the squads of Newell's Old Boys, CD Universidad Catolica, CA Sarmiento de Resistencia and CA Tigre. His squad won 70% (60% home) in Serie B. The highest win streak of the last 5 matches counts 4. At Mushuc Runa SC, he is the owner of strip number 18. 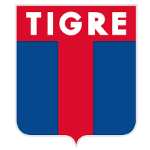 Horacio Orzan's best season was Primera Division 12/13 (Argentina), because in this year he had his highest success in terms of goals. Obviously, Horacio Orzan had a couple of bad seasons as well. In Primera Division 13/14 he had difficulties with multiple penalties. 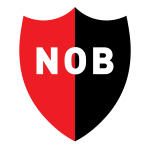 His record stay with a club is Newell's Old Boys (Argentina) with three years and 5 months. Throughout his professional career, he participated in 89 games, the last appearance being 967 days ago. Horacio Orzan's shortest spell with a club currently counts three months in his latest side. He completes Mushuc Runa SC's intermediate department, alongside players like Luis Ojeda, Dario Bone, Edwin Mendez, Marco Carrasco, Bagner Delgado, Alexis Santacruz, Koob Hurtado, Gregory Ortiz, Esteban Rivas, Daniel Samaniego, Cristian Pandi, Luis Estupinan, Adonis Preciado and Juan Realpe. Already 14 times a card was given to him in his tenure. At 163.14lb, Horacio Orzan carries 2lb more than the average Mushuc Runa SC player.